The foreign philosophy we need to explore now more than ever before. Ubuntu is a foreign concept meaning “I am because you are.” It embraces the idea that humans cannot exist in isolation. We depend on connection, community, and caring — simply, we cannot be without each other. This philosophy requires a conscious shift in how we think about ourselves and others, especially at a time when our nation is more divided than ever. Ubuntu’s powerful meaning comes with a dark history. The ancient African concept was adapted into a philosophy in post-apartheid South Africa, a place that is still recovering from a long period of political, economic, and cultural turmoil that left highly divided and unequal social systems. The philosophy developed as a way to overcome these tensions plaguing the society. By focusing on the humanness of each individual, whether victims or perpetrators, South Africans aim to come closer to creating a democratic country. As South African social rights activist and Archbishop Desmond Tutu explained, “My humanity is bound up in yours, for we can only be human together.” He understands that the potential of human beings working collectively to achieve goals is infinitely greater than the potential of any individual. As individuals, we are equipped with particular talents and strengths. Though it is natural for us to want to use these for our own self-progression and success, if we use these qualities to better our community, we reap both personal and societal benefits. We do not have to sacrifice personal success for the community’s success, but we must strike a balance between the two. “A traveler through a country would stop at a village and he didn’t have to ask for food or for water. Once he stops, the people give him food, entertain him. That is one aspect of Ubuntu, but it will have various aspects. Ubuntu does not mean that people should not enrich themselves. The question therefore is: Are you going to do so in order to enable the community around you to be able to improve?” (1). To ask everyone to practice Ubuntu seems like an unrealistic feat. But we can start by asking ourselves this, “What if what you want to be will only come about when you ensure that others get to be that as well? And what if all of humanity was on your team, working toward your good?” (2). At a time where an election has left a divided United States, this serves as an important reminder that we belong to a greater whole. This is Ubuntu: the idea that humanity is based on the plural and not the singular. 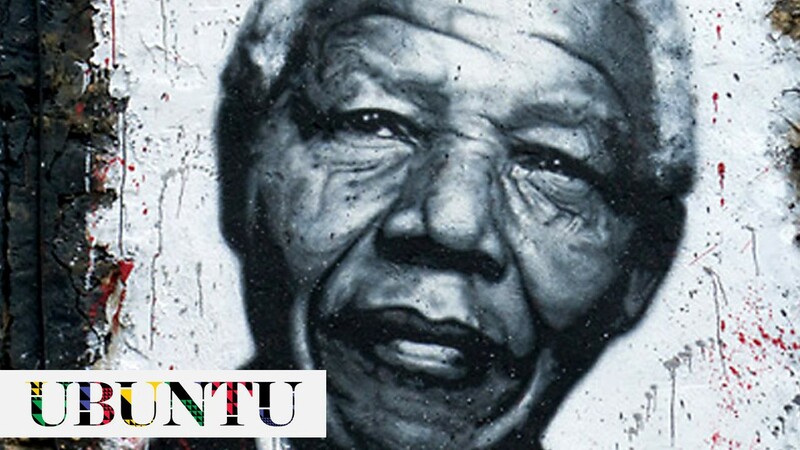 Oppenheim, Claire E. “Nelson Mandela and the Power of Ubuntu.” MDPI. Molecular Diversity Preservation International, 26 Apr. 2012. Web. 10 Mar. 2017. Rich, Dr. Judith. “Embracing the Spirit of Ubuntu.” The Huffington Post. TheHuffingtonPost.com, 22 Aug. 2012. Web. 10 Mar. 2017.